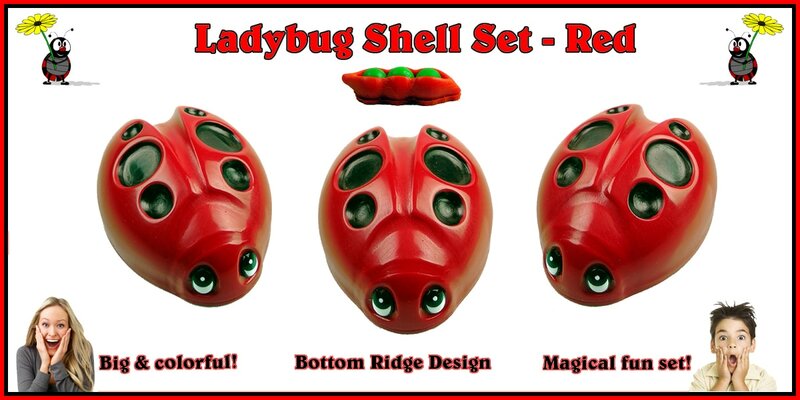 The "Ladybug Shell Sets" have the new bottom ridge design. This brings many features that can't be done with any other shells. You always have full control of the softball. You are never forced to take the ball. The softball will stay inside the shell when the shells are moved around on the surface, which makes it a fair shell game. The bottom ridge is not a gimmick. It is just the opposite. It makes it a fair shell. The only thing used that is unfair is the shell operator. Everything can be fully examined at any time without switching anything out. The beauty of this is by you shuffling the shells around fairly and lifting the shells to show the ball is where it should or shouldn't be you set them up to follow the shell you want them to follow. Then after you have just shown the shell with the ball, the ball is stolen and then loaded into another shell after that shell had just been shown to be an empty shell. The cool thing is you can now move the new loaded shell fairly without the ball coming out of the shell. You have the control of when to play fair and when to play unfair for the win in an unknown way of how it is all done. This will even fool the ones that are in the know of how the shell game is normally done. This is an unpredictable shell. This is because it can't be predicted when you steal or load the ball from a shell. Sure they will know you had to steal the ball from one colored shell to end up in a different colored shell. The effect is, how did you do it. As everything looked to be done so fairly without any clues, rules, and nothing to hide. 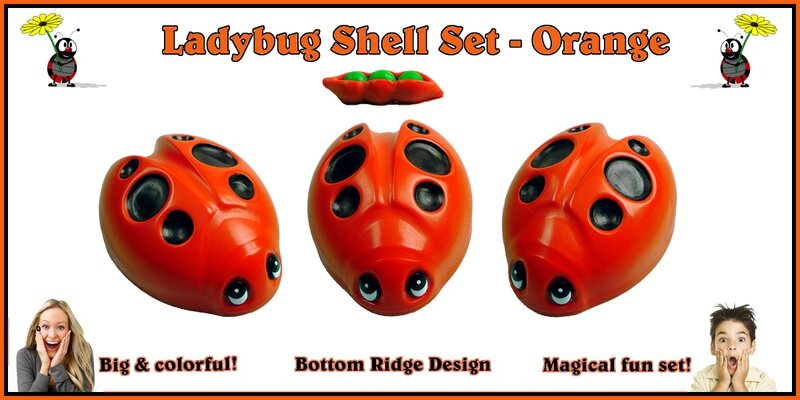 "Ladybug Shell Set" opens the door for a whole new range of audience for entertainment! The three shell game has been known as a gambling con game. So it has only been targeted to be demonstrated to an adult type audience. This does not need to be the case with the shell game. If the shell game is not demonstrated as a gambling con game. The shells that are being used here are not known to be used for the con game. The shell game can be suitable to entertain any type audience. It is only a matter of how you want to present it. Women & Children; these type theme shells that are presented as a fun game have all been tested with amazing results. I have found that the mother at the children's party was right in there with the kids having fun and never viewed it to be anything different than entertainment for her and the kid's. All kids love a challenge to a game and magic! Fun Surprises; For an ending surprise, the red ladybug is placed over the green ball and moved over to the player to hold down with their finger. Both hands are shown to be empty and the other two ladybugs are picked up to show they are both empty and placed back down on the surface and both are moved to bump the one the player has their finger on. Both hands are again shown to be empty after releasing the two shells. Now it is time for them to pick which color ladybug has the little green ball. Most likely they will pick the one they have their finger on. But it doesn't matter at this point. They lift the red ladybug and find no ball. 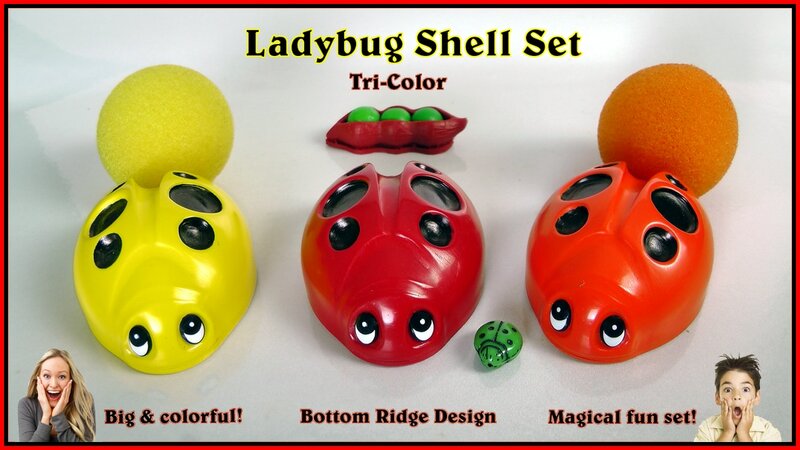 You take hold of the other two ladybugs and slowly wiggle lift them up where a matching color 1-1/2" sponge ball come out of both shells. So where is the little green ball? There is a little drawstring bag that the little green ball came out of at the start of the game and was put aside out of the play area. The little green ball returns to the bag. The little green ball is poured out of the bag onto the surface. The ball is picked up and displayed. The player is asked to hold their hand out. You do a rubbing motion on the little green ball with your finger. The little green ball has now changed into a little green ladybug that is placed in the player's hand and both hands are shown to be empty coming away from their hand. ​Below is a rough video outline without the use of a spectator to give you an idea on one way the surprise finish could be done. This is an unpracticed video and I'm sure you will be able to find your own way to apply it better. I'm too busy creating and making the shells, so this video is mainly just for show and tells of giving you some ideas. These shells are made from all high-grade materials. The shells are all cast under high pressure where there are no air bubbles under the surface. The eyes are solid plastic. The six black dots on the ladybug are countersunk were the black dye will not wear off. 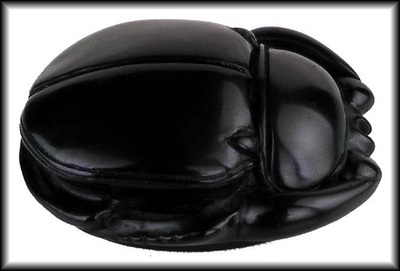 The Black Beetle Shells are a very good addition for any close -up magician or collector of the three shell game. The set works well as a magical presentation in doing the shell game for entertainment. Most shell sets are based around the rules of gambling. As the game was original used as a gambling con game played for money and is still used today on the streets around the world. With these 21st century design shells, the magician does not have to enforce gambling rules on the spectator in giving their presentation. As these shells have no clues, rules or gimmicks to hide. The Bottom Ridge type shell is the only shells ever made that gives you this freedom. The bottom ridge type shell is the most deceitful shell ever made. The ridge is not a gimmick. It is just the opposite, as it makes them fair shells. But at any time you choose, you are able to change them to be unfair shells after you have sold the con. The shells can sell the con or entertain on their own. everything can be fully examined at anytime, without switching anything out. The working balls are a soft tan rubber ball, that are easy to work with and finger clip. They can represent a dung ball where beetles are known for rolling around a dung ball with their eggs inside. The baby beetle can bring a surprise where the baby beetle hatches from the dung ball. 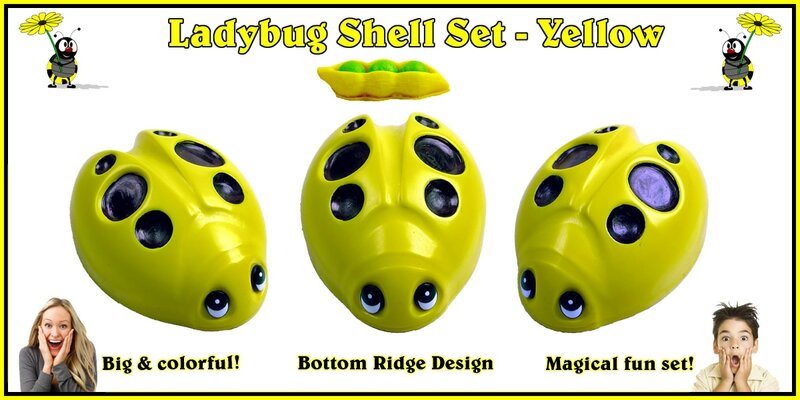 This realistic magical beetle set is sure to deliver amazing fun! The set comes with some amazing accessories to add to your presentation. The beetle box is mostly for the presentation and to bring the dung ball out. 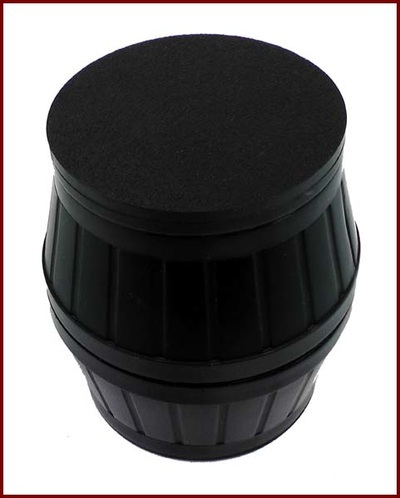 It has a tapered pressure type fit to attach to the beetle shell and can come loose with rough handling. The box has engraved Egyptian symbols all around the sides and bottom of the box, that have been gold leaf painted. These Egyptian symbols can add to your presentation in many ways. Most people know Egyptian symbols when they see them, but don't know the meaning of them. They seem almost magical and people are captivated by their beauty and significance. The set comes with a double back baby beetle having a beetle on top and bottom. This way there is always a beetle showing when drop on the surface. This can be used for a hatching surprise in many different ways. of shell has more head space to be able to work with bigger balls and roll freely on any area under the shell. The interior of the shell has no outward taper like most other shells. 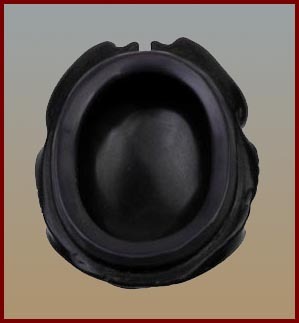 The outward interior taper of a shell will limit the operation of the ball inside the shell. A shell with the outward taper interior does not have equity head space in all areas of the shell. The ball can bring movement of the shell after the hand releases the shell, if the ball is not in the center of the shell. The only taper on this type shell is on the bottom rim of the shell. The rim is tapered on the inside and outside. This brings smooth steals and loads with the shell. Also the shell has a entire flat surface taking away any clues on how it is all done. The notch or rocking horse gimmick to the shell is not needed to get the ball in or out of the shell. 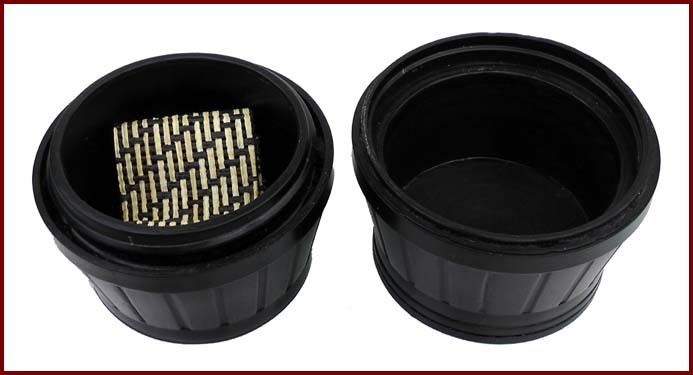 The balls that work with all the shells we supply are much softer to compress better and to finger clip. 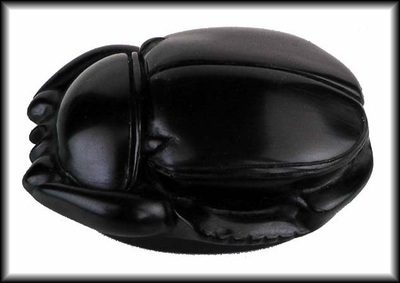 The inside height of shell is 5/8" and can work with a 1/2" ball to even make it more realistic, as a dung beetle is known to roll around a large dung ball with there eggs inside the dung ball. A double sided baby brass beetle comes with this set for a ending surprise, where the ball is gone and now have a baby beetle. 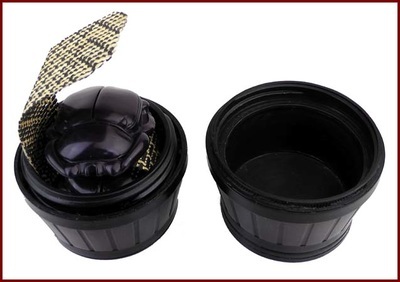 The other feature this type interior brings; can also work with a cork ball and the cork ball will stay inside the shell when moved in all directions. This brings full control of the ball and everything can be fully examine without having to switch anything out. Many add on accessories listed on this page below. 2 - Natural Cork Balls - 3/8"
The Beetle Trap was made so there is a tight fit on the beetle shell. A little up from the bottom rim on the inside is a inward notch that goes around the inside of the trap. This notch is not even noticed. The beetle pincers fit inside this notch This brings a good fit, so the shell does not move around inside the trap. When the Beetle Trap is placed over the shell it becomes an extension of the shell and now both will work as a single unit in moving it on the surface. This means whatever you want to do, you can do. Moving everything around on the surface without the ball coming out or move it and steal the ball. You use the same handling as you would use when handling a shell on its own. The top of the trap has a brass beetle insert that brings some add features. It adds to the appearance and also can direct you in placing the trap of the shell for the best fit. It can also justify the magic that happens from the spectator touching it. The trap is made of high impact plastic, where it won't break. This can be switched in for an ending surprise that is normally used with the above Beetle Trap. The effect is where the kicker is place on top of the ball at the front tip of the beetle and the Beetle Trap is placed over the beetle with the ball. When all is move to the player, they will see the ball go into the shell. The other two beetles are shown empty. From here you can milk it any way you want. When they take off the trap and lift the beetle the dung ball is gone. When they look at the bottom of the beetle they now find the egg inside the dung ball has hatched to have a golden baby beetle embedded in the beetle. The Beetle Barrel Case is a very solid case. Make with a thick wall of high impact plastic. Has a 1-1/2" wide x 12" special cushion strip that is bonded to the inside bottom to loop between each beetle to bring a prefect cushion fit inside. The balls and small accessories can also fit to carry everything you need. The bottom half of barrel can also be used as a beetle trap to help bring your ending surprise. The two halves screw together and will never come apart on it's own. According to their ancient texts, the Egyptians believed that the scarab beetle came into being spontaneously from balls of dung and they associated this with their religious ideology of self-creation and resurrection. Thus, the scarab beetle was worshiped under the name Khepri (meaning 'he who has come into being' or 'he who came forth from the earth'). As a self-created deity, Khepri became synonymous with the creator-god, Atum, of earlier times. Furthermore, in the same way that the scarab beetle pushed a ball of dung before it, the Egyptians imagined that Khepri rolled the sun (the solar 'ball') across the sky from east to west each day, and so they also regarded Khepri as a form of the sun-god, Ra (or Re). Hence, the scarab became an important symbol of creation, resurrection and everlasting life in the religious mythology of ancient Egypt. Small jars and coffins containing dried (mummified) scarabs were often placed in Egyptian tombs as part of their ancient funeral rites to ensure eternal resurrection. * Mummy Scarabs * These Scarabs and egg box bring a magical display too the three shell game. The story line patter and display is unlimited to your imagination from the history of the magical dung beetle. The Egyptian symbols on the egg box can add to the story line for amazing entertainment. Show how the scarabs can become newborn adult scarabs from a dung ball egg right in front of their eyes with no trace of the egg. ﻿Routine ideas: ﻿ The scarab and box are bought out and open. There are two dung eggs balls in the box and they are shown and placed on the table surface. As the two balls are placed down on the surface both hands take them, make a fist on them, with a squeezing motion and when the hands are taken away two scarabs are produced. Both hands are shown empty. Now there are three scarabs on the table. The box is set aside and the original scarab that was on the box is lifted and there is an egg ball under it now. The shell game is played with the dung ball and three scarabs, the ball is placed under one of the scarabs and all three are shuffled around and the spectator has to keep track as to which scarab has the egg to win. This goes on a number of times and they never can pick the right one that has the egg. At the end of the routine there are many ways to bring an amazing surprise with the baby beetle coming into play. 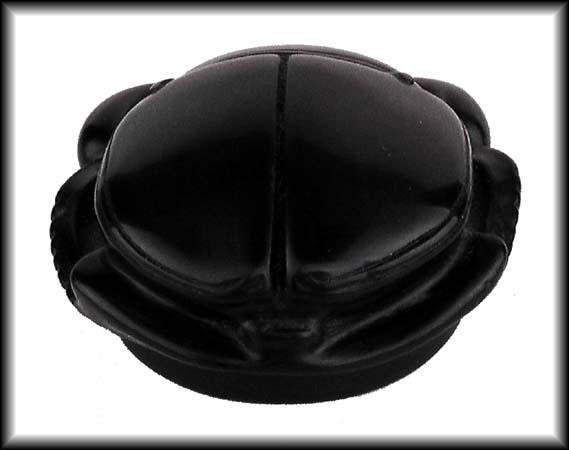 The Scarab shells have the new 21st century bottom ridge design. This gives you full control on keeping the ball in the shell at all times or stealing it when you want it. You are never forced to do anything. The shells with no clues,rules and nothing to hide. Can be fully examined at any time, if need be.